Brennan Connors & Stray Passage is a jazz trio lead by saxophonist Brennan Connors. The ensemble embraces free and structured improvisation, original compositions, and sound based experiments. The breadth of the group's palate ranges from focused minimalism to fiery high energy music, all while maintaining a sense of narrative organization and compelling ensemble interplay throughout performances. The environment of Mother Fools Coffeehouse allows the band to play with a greater sense of intimacy and rapport not only within the trio itself but also in relation to the audience. 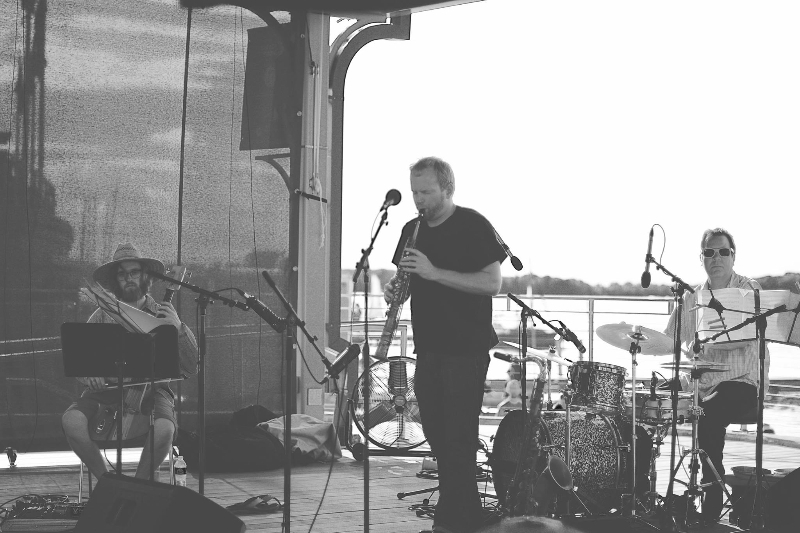 Brennan Connors also plays with various experimental and world music groups in Madison including Samba Novistas, the Madison Choro Ensemble, and AMOEBAGEDDON. In addition, Brennan has worked on a regular basis with Hanah Jon Taylor as well as Madison institutions James Earl Tate and the late Charlie Brooks. Geoff Brady provides orchestrated and improvised drum and percussion textures along with electronics. Geoff plays with a vast number of area bands and musicians. Some highlights include Yid Vicious (for which he composed a musical score for the 1920 film The Golem), Hurt Albert, and is a founding member of the Sockrates Carnival of Sock Puppet Morals and Logic. Brian Grimm rounds out the trio playing cello, contra-cello, and electric bass. He works as a composer and educator in addition to being an active performer. Groups he works with include the Sound Out Loud Ensemble, Lovely Socialite, the Sisters Three, and the Five Points Jazz Collective. The band's first album, entitled Emergence, was released in 2017 on the Italian label Setola di Maiale and is available on Bandcamp or at any live performance.